Our future health, as well as that of the system we rely on to care for us, depends on innovation. Technological breakthroughs keep medical science moving forward. And progressive approaches to the delivery of health services save lives — by accelerating the application of those breakthroughs. So what if those who create the breakthroughs and those who streamline their delivery — and, even better, make it more cost-effective — were to join forces? Innovation Partnership: Procurement by Co-Design is a unique program that offers healthcare-service providers something rare: the opportunity to participate in the development of technology tailor-made for them—solutions that address the particular problems they often face—and then actually procure these solutions. An exercise in collaborative design, the program targets industry problems while complying with the Broader Public Sector (BPS) procurement guidelines. The program will take the form of a competition, attracting teams of healthcare providers and technology vendors. 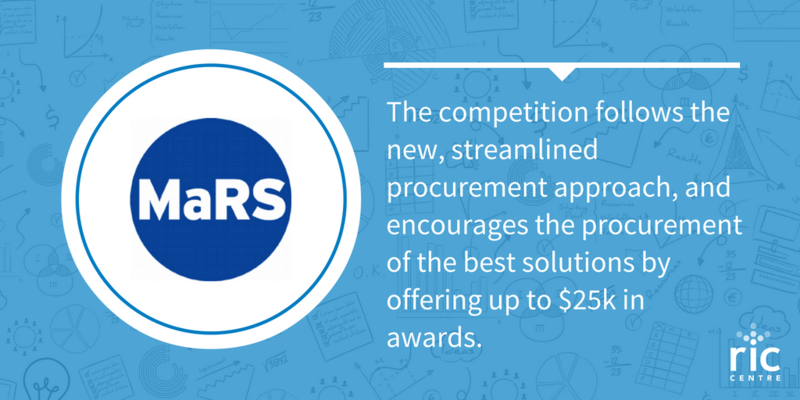 The competition follows the new, streamlined procurement approach, and encourages the procurement of the best solutions by offering up to $25k in awards to the teams that developed them. Deadline to submit Challenge Brief is September 12th.